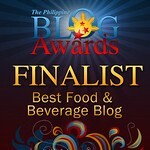 THE PICKIEST EATER IN THE WORLD: THE 2013 DAVAO ADVENTURE: LOTUS COURT AT MARCO POLO DAVAO! THE 2013 DAVAO ADVENTURE: LOTUS COURT AT MARCO POLO DAVAO! Word of advice to Philippine Airlines: A pack of peanuts and crackers does not constitute a "meal" - especially when you delayed our flight. 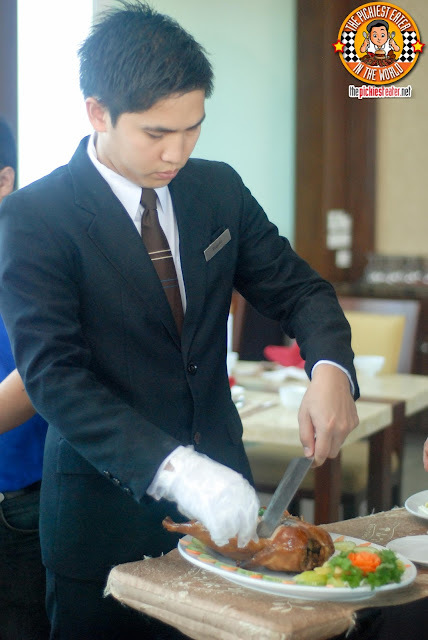 As you can imagine, we arrived at the beautiful city of Davao around noon time, and we were absolutely famished. Seriously, I was getting worried because thoughts of burying my face in the first Durian I see were beginning to pop into my head. The thought of exploring Davao for the next few days kept me excited enough to keep me from getting grumpy. But I was seriously contemplating asking Spanky if we could pass by for some drive thru somewhere. As we hopped on to the van en route to the hotel, Spanky then told the group, "Hope you're all ready for some Peking Duck from Marco Polo Hotel's Lotus Court!". It was at that precise moment that my tummy decided to let out a loud growl, which I think was its way of answering"Hell yeah!". With my stomach making noises that seemed to be in Dolby Digital, the trip to the Hotel from the airport felt like forever and a day. Funnily enough, the entire car ride was actually only around 20 minutes with minimal traffic. You can't blame me though.. I put Chinese food up there with American food as my favorite cuisine. What can I say? I'm a sucker for it. it's amazing how they manage to create a harmony of flavors using different ingredients making every dish you taste a new experience. And legend has it, Marco Polo Davao's Lotus Court is one of the best in the city. 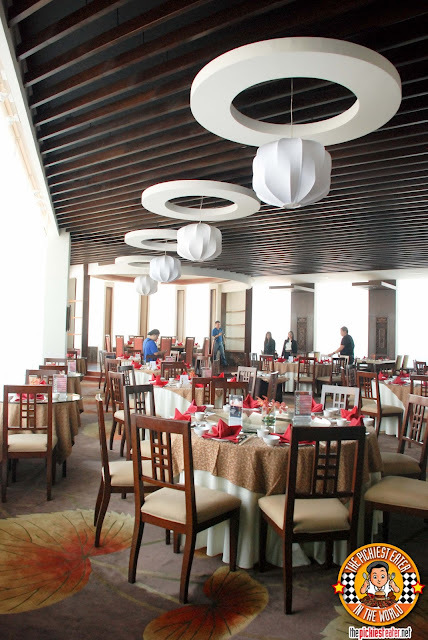 Lotus Court has that old school Chinese restaurant charm where everything is so grand, with gorgeous oriental fixtures surrounding the dining area. 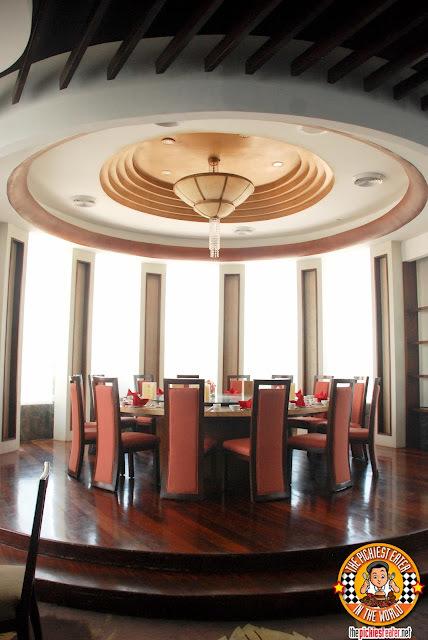 Without a doubt the premiere table what's the one at the end of the room, around a round circular table large with in typical Chinese restaurant fashion how to "Lazy Susan" at the center. 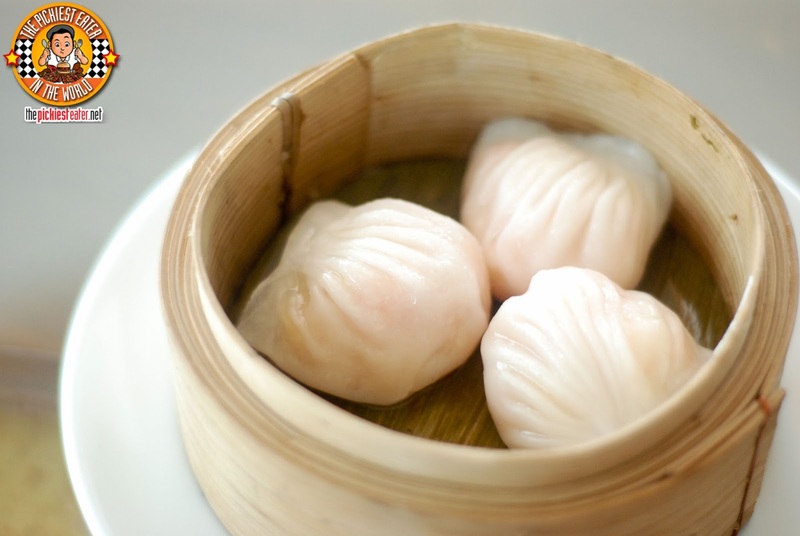 Rina really enjoyed their Prawn Dumpling (Hakao). 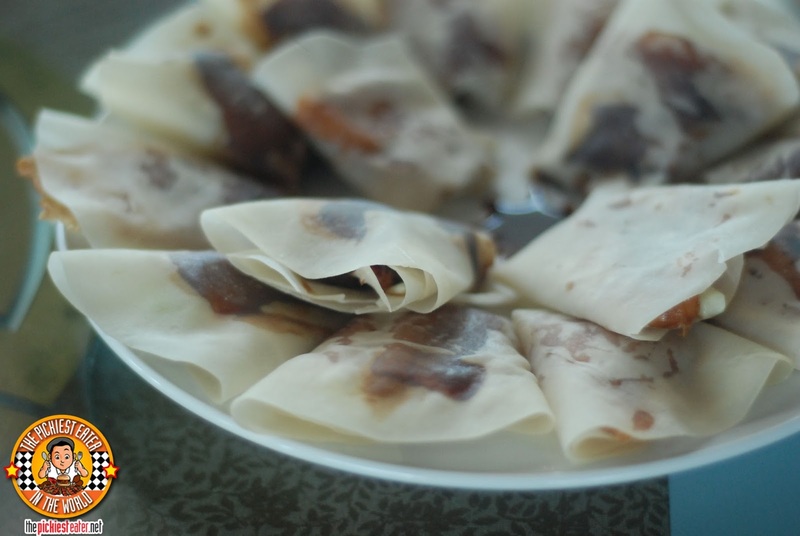 The shrimps were plump and juicy, and steamed in its thin wrap. The Suckling Pig Combination Platter was more up my alley. 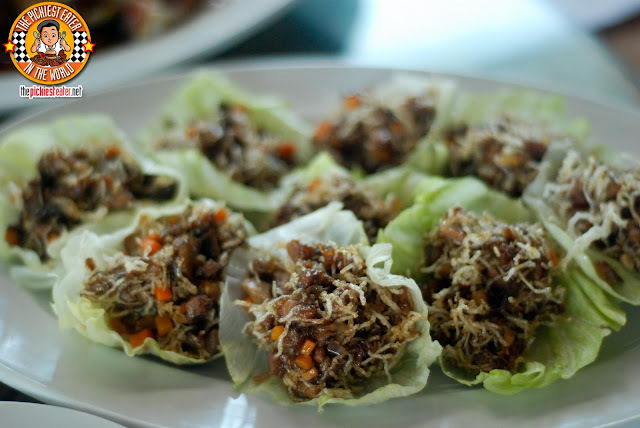 Succulent slices of BBQ Pork Asado that was glazed with a lightly sweet flavor, laid beside juicy cuts of steamed Soy chicken. The cherry on top for me was the pieces of Crispy Pork Belly, which had the ratio of fat to meat (meaning lots of fat) that I like, and the skin was crispy to the bite. Though I didn't have any of the Century Egg and Jelly fish, the other members of my group seemed to like it. I don't know about you, but I don't eat Century Egg (Dude. The egg turned black). Also, I think it was my older sister that played a prank on me when I was young, telling me that the Jelly Fish was Pancit, so I ate a whole mouthful of it (Lemme tell ya.. It tasted NOTHING like pancit). Profanity-less words could not express the elation I had when I saw them cart the Roast Peking Duck to our table. Although it did look a little leaner than the Peking Ducks that I'm normally used to, that was one glorious looking bird. I decided to take the bird being less fatty as a good thing (Especially considering we were just at the start of a 4 day long food trip). The skin looked cooked perfectly cooked, and the only thing that was stopping me from biting into the whole duck was the man with a knife standing right in front of it. 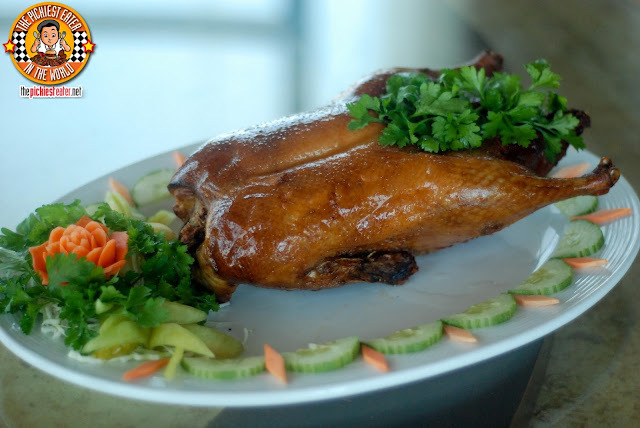 The Duck was carved and served two ways, the first being the popular style, which is wrapped in a thin wrap, mixed in with a bit of spring onions, a slice of cucumber and a smearing of Hoisin sauce. I don't know about you guys, but I always remove the cucumber from this equation.. It's definitely better without it. The skin let out a lovely crunch with every bite I took, and the savoriness of the duck meat was extremely tasty. I'm not a fan of Scallops, but I still gave the Scallops and Seafood Soup a whirl. 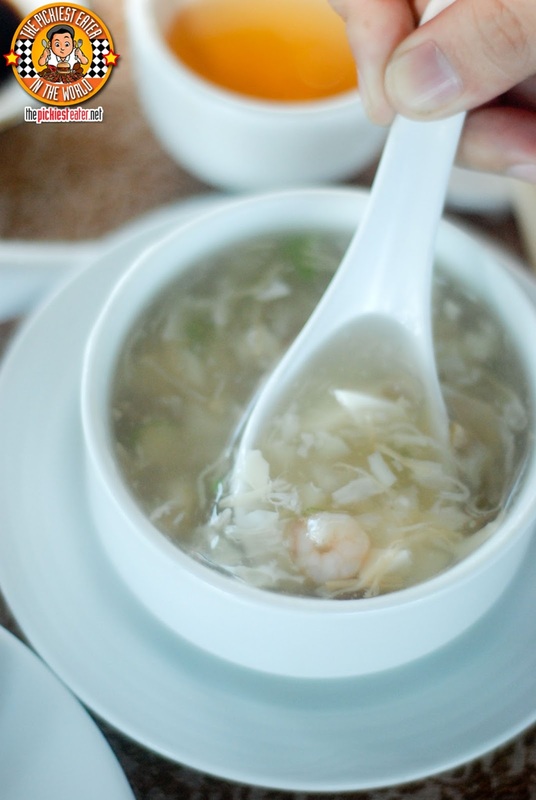 The soup had a heavier consistency, and was filled with various seafood. I found the flavor to be a little bland, but a few drops of soy sauce did the trick. 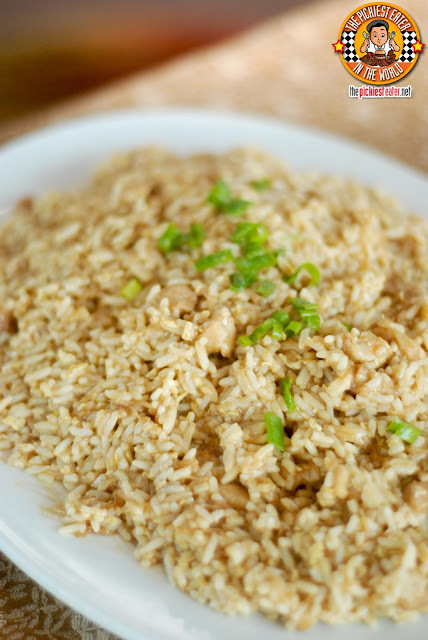 Being a Picky Eater, I imagined that I wouldn't enjoy the Diced Fried Chicken Rice with Abalone Sauce, simply because of the presence of the Abalone. I was dead wrong. It was amazing. The rice was cross breed between fried rice and risotto. It was wet and a bit gloopy, but not exactly porridge like either. 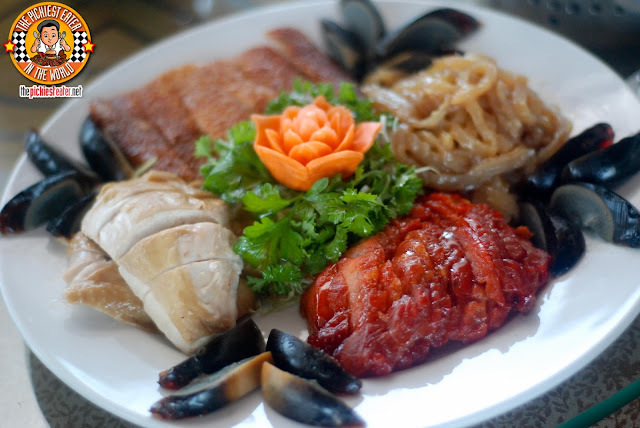 Truthfully, I couldn't taste any abalone in the dish, but the chicken added a nice touch of flavor to the dish, that would be a great partner to our entrees. I've learned to enjoy Enoki Mushrooms as of late. The last time I had em' was at Yaku a month or so ago, and I loved it. Lotus Court's Braised Homemade Tofu with Enoki Mushrooms & Green Vegetables became the next memorable Enoki dish for me. 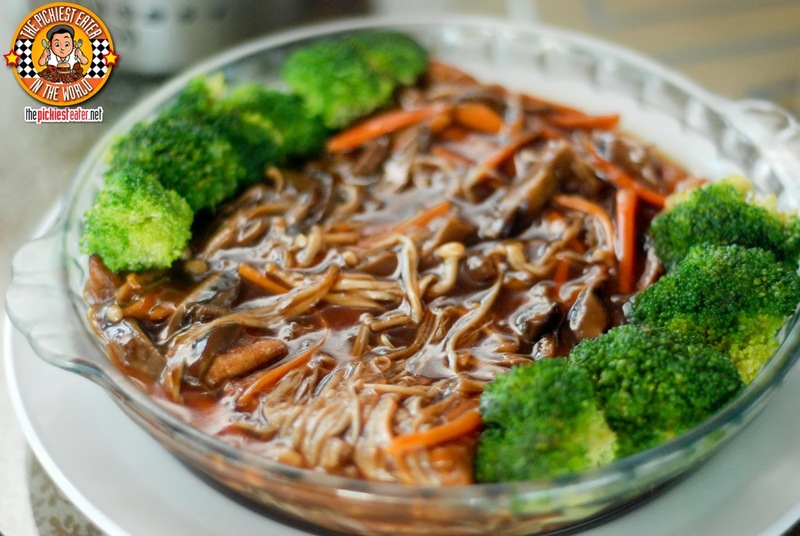 More than anything it was the lightly sweet sauce that it was drowned in that worked well with the mushrooms itself. Believe it or not, the Tofu itself was quite delicious as well. Something I learned during my stay in Davao, was that Davao has amazing seafood, particularly their fish. 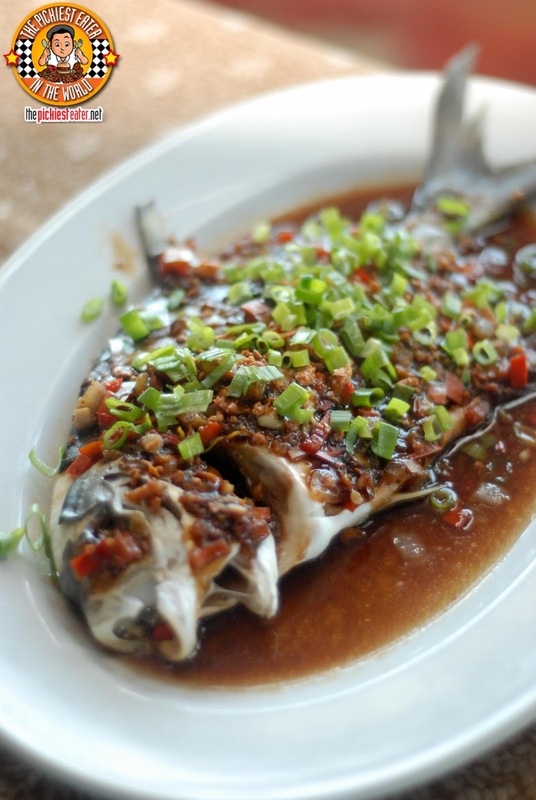 May I present Steamed Pompano with Tausi as "Exhibit A". The freshness of the fish was simply undeniable. The fish was doused in a broth that had just right amount of saltiness to whet your appetite, making you want more. As amazing as the Pampano was, it was the Sauteed Diced Beef Fillet with Basil Soy Sauce completely stole the show from all the other dishes. 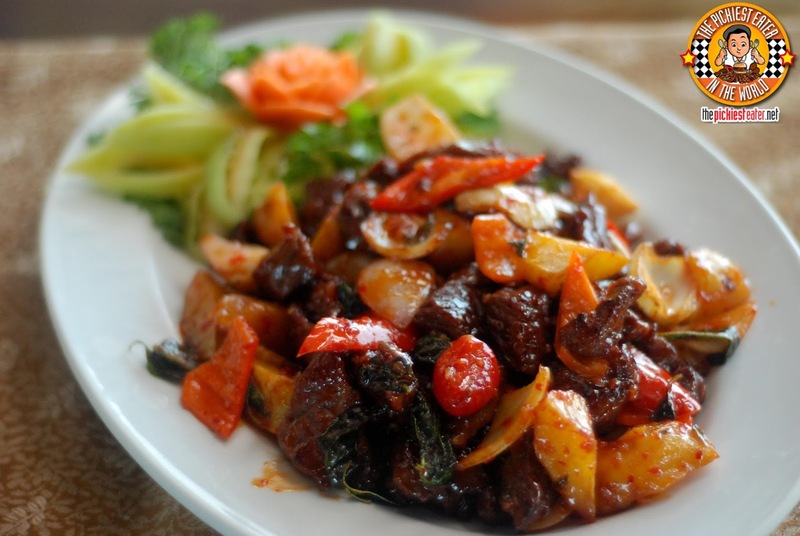 The tender slices of beef were glazed in a sweet chili sauce, and stir fried with some vegetables. The harmony of the sweetness and heat, made for a beautiful balance of flavors. I tried showing a little restraint, as I was worried that the chili would trigger my acids, but there comes a time in a man's life where he just says, "Ahh Screw it!" then throws caution to the wind. This was one of those times. And yes I got a hyper acidity attack. and YES, it was totally worth it. As a palate cleanser, as well as a dessert dish, Lotus Court brought out the Seasonal Fruit Platter for us. 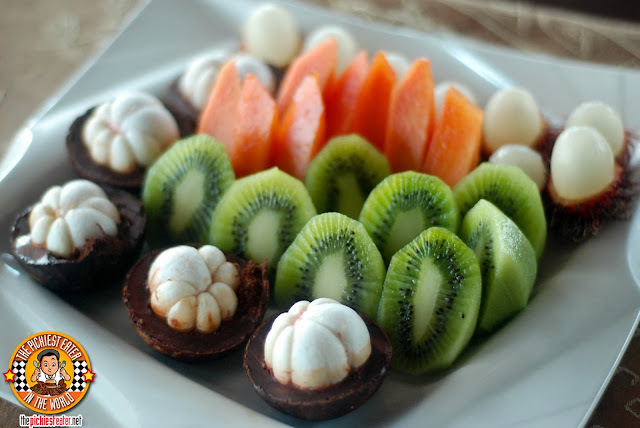 The platter consisted of Kiwi, Mangosteen, Papaya and Rambutan, all peeled and sliced for your eating pleasure. They also brought out some Red Bean Paste Pastry for us to try. I honestly was not a fan. 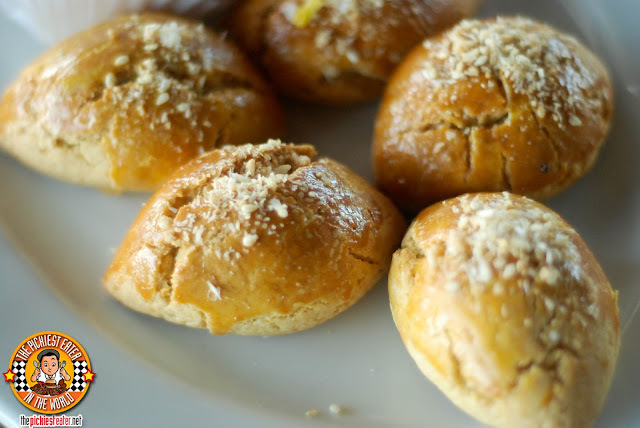 The pastry was a bit hard, and I didn't care much for the flavor of the red bean filling. This and the soup were the only misses from our meal. But good thing I ended the meal with a bite into the Deep Fried Chocolate Sesame Balls. 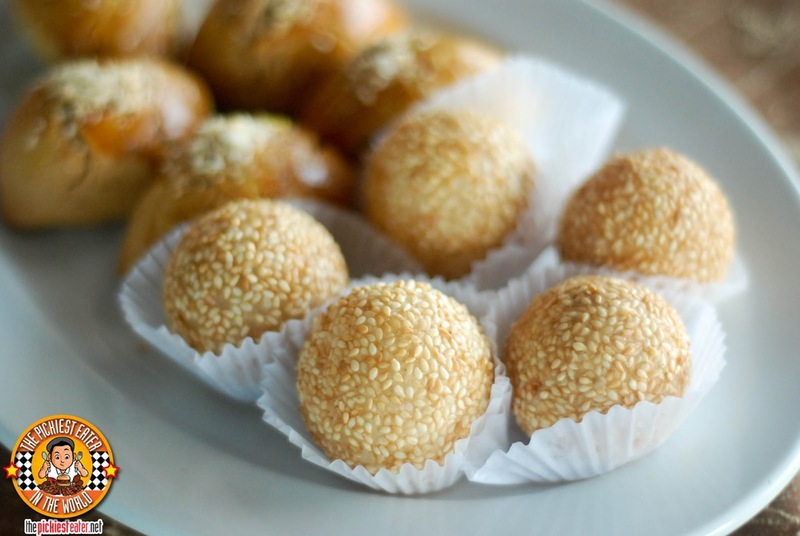 Surprisingly, more than the chocolate, I loved the fried sesame ball itself, which was fried just right, with the gelatinous inside still warm and crunchy. Rina loved this because they used dark chocolate, while I would have preferred Milk chocolate.. or better yet.. Nutella! hehe.. Nonetheless, chocolate is still chocolate so it was a nice way to end what was a fantastic feast. 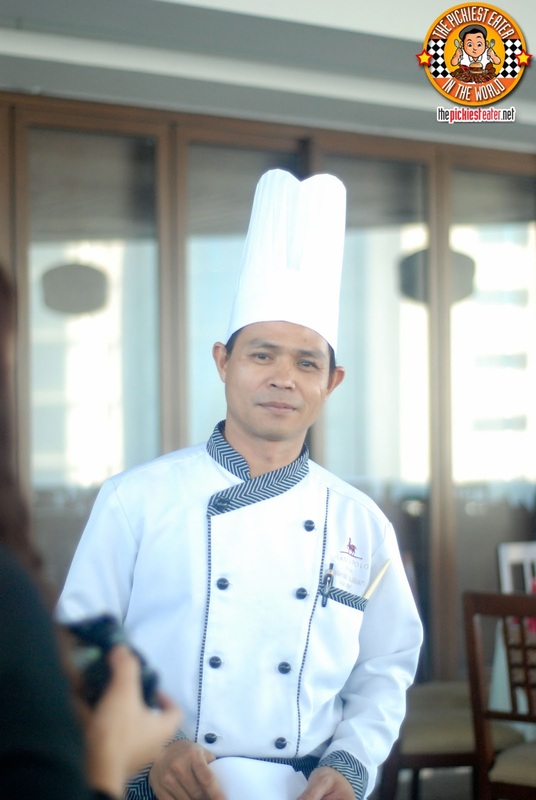 Our meal was prepared by none other than Lotus Court's head chef, Chef Rolly Bulitan, who graciously stepped out of his kitchen to meet us. 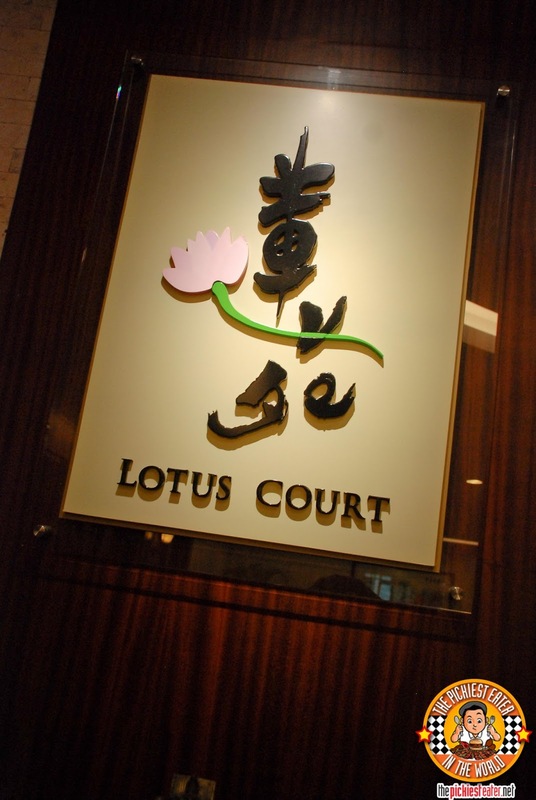 Being a fan of Chinese food, Lotus Court - especially the Sauteed Diced Beef Fillet with Basil Soy Sauce, got my stamp of approval. I would have loved to have tried their Sweet & Sour Pork, as I usually make it a barometer in my assessment of a Chinese restaurant. 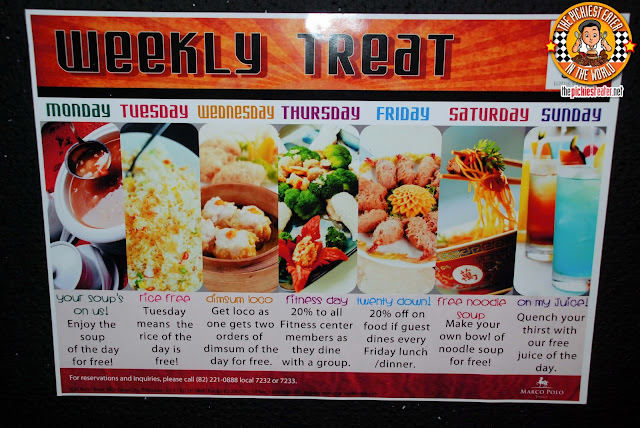 Also, check out their weekly treats to avail of some goodies!